Är cochleaimplantat nytt för dig? For Spanish-speaking families or professionals, the journey to hearing just got much easier and a lot more fun! Advanced Bionics has launched a new, Spanish-language version of The Listening Room™ rehabilitation website. 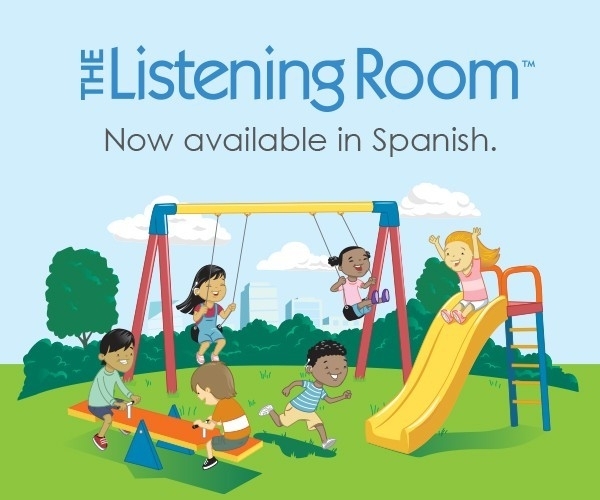 Families and professionals visiting TheListeningRoom.com can now switch between English and Spanish versions of the website and use a language filter to discover Spanish-language content. For more information on all AB's rehAB and educational resources, visit AdvancedBionics.com, email hear@AdvancedBionics.com, or call 866.844.4327 (HEAR). Copyright © 2019 Advanced Bionics AG och dotterbolag. Alla rättigheter förbehålls.